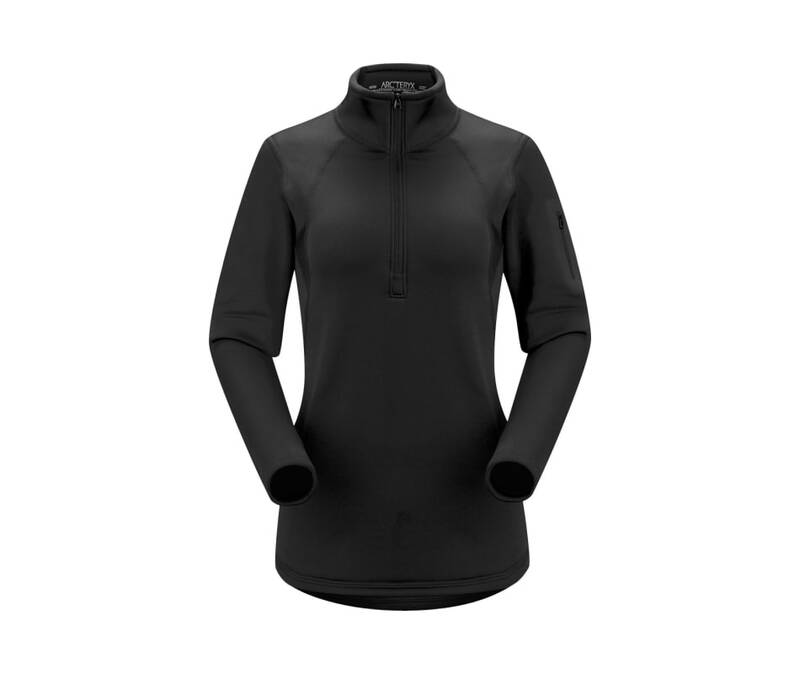 A midweight base layer top for high output in cooler temperatures, the Phase AR Zip Neck is made from next generation Phasic AR. Engineered to provide insulation, dry quickly, and offer performance stretch, Phasic AR uses different polyester yarn structures on its interior and face to most effectively wick and disperse moisture. The tall collar adds warmth, and the deep front zip provides ventilation. Lighter weight Phasic SL underarm panels improve thermal regulation and reduce bulk. Updated style lines and improved fit.